Hey! This past week, Diego and I went and explored a new walk that we had never done before. It's one of those walks that you are always meaning to do, and have always lived near, but never got round to it. Finally we done it, and I don't know why we waited! 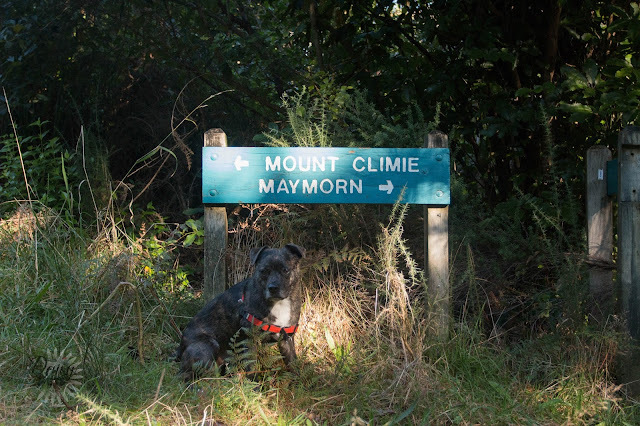 Mt Climie is located in Upper Hutt, and is easily accessible from Tunnel Gully. It's as easy as going to the very last carpark in Tunnel Gully (There's only two carparks) and then the track itself is right in front of you. It is signposted at the base entrance to the walk, as well as shortly into the climb where there is a fork in the path. Hey! If you didn't know already, I work a full time job, and Diego, the poor sod has to stay at home alone during my hours of work. I did try and find a dog for him to hang out with during the day, but he much prefers not to have to share his food and toys. This means I have to find new ways to entertain him during the day and keep his mind occupied since we have moved away from my mother and Chico. 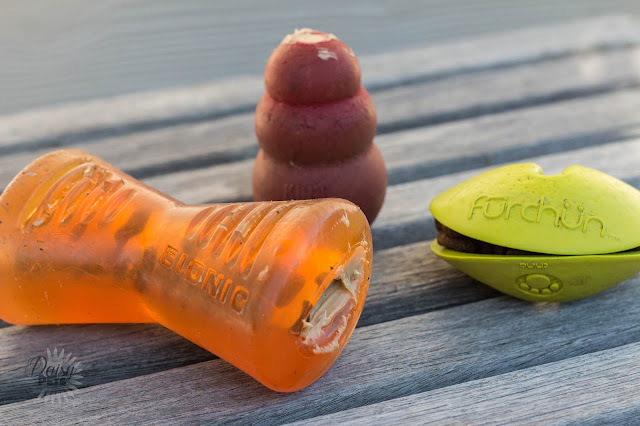 Recently, I have put three enrichment/treat toys on rotation with a similar recipe inside them and it has been working well. I usually make up two of the toys daily, and just change around which two are used each time. I have been doing this over the last month or so, and Diego seems to really enjoy it. Inside the toys I use his usual dog food, which currently is Orijen Adult, some of the Omega Plus Fish Oil and a tiny bit of peanut butter. I feed these toys instead of his breakfast, and this makes sure he isn't getting overfeed or too many extra treats. Hey! I love researching and finding out new ideas and ways of training dogs, so when I saw this book at my local library, I had to give it a read. 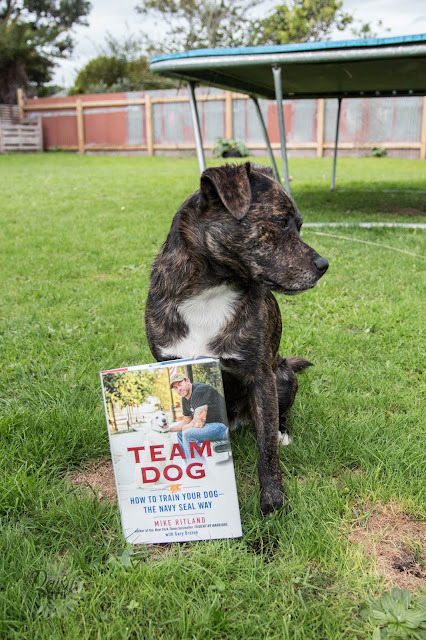 Team Dog is written by Mike Ritland who also wrote Trident K9 Warriors which I reviewed in 2015. Mike Ritland is a Navy Seal, turned military dog trainer who specialises in training some of the most amazing war dogs for the US. This book sells itself as a how-to guide to training your dog the Navy Seal way. As always, I don't want to give away too much of the book for those that are going to want to read it. I have made sure to bookmark some important pages and quotes that I appreciated though, which will get you all thinking a little bit more about how you are currently training your beloved pooch. Whatever behaviour is consistently not rewards will be extinguished.